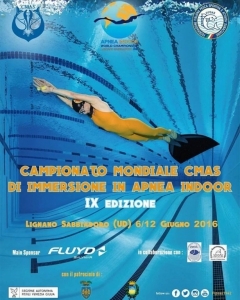 The 9th edition of the Indoor Apnea World Championship is organized by the FIPSAS from 6 to 12 June 2016. 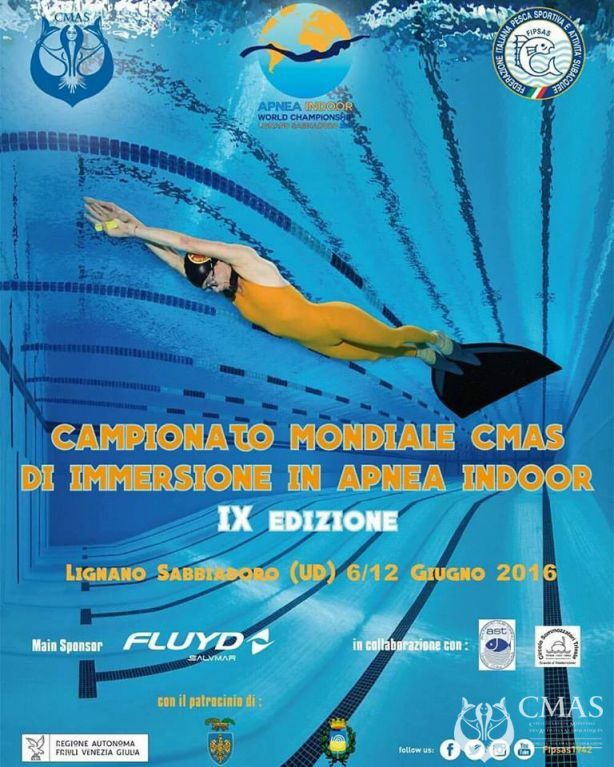 The Championship will be staged with the supervision of CMAS in Lignano Sabbiadoro, in Ge.Tur Sport Village. The Championship shall be comprised of six specialities: Dynamic with Monofin (DYN), Dynamic with Fins (DYN BF), Dynamic without Fins (DNF), Static (STA), Speed 100 m. and Endurance 16×50 m. Only the Final stage will take place for each of the planned specialities.